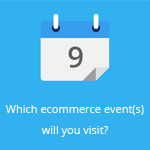 July 17, 2015 by Ecommerce News. About Statistics with tags Spain. 3688 views. 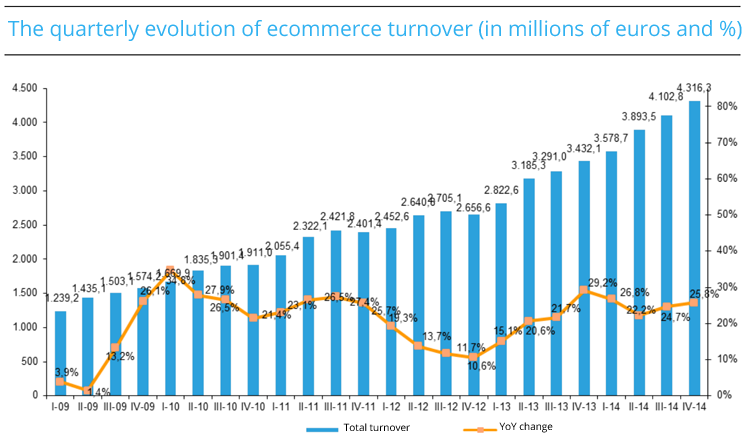 The total turnover of ecommerce in Spain reached 15.89 billion euros in 2014, new data shows. 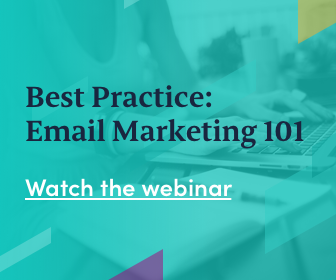 The ecommerce industry increased by 24.8% last year. That’s some impressive growth if you take into account ecommerce in Europe increased by 16.3% in 2013 and ecommerce in South Europe increased by 18.9% during the same period. 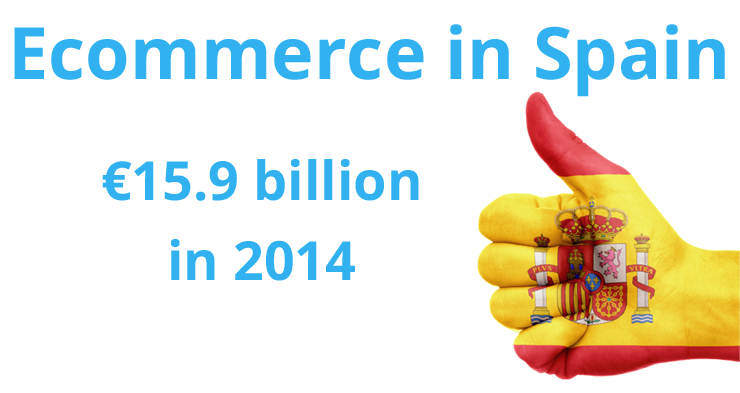 With the increase of 24.8% the ecommerce industry in Spain continues to grow. During the fourth quarter of last year, online sales even increased by 25.8%, reaching 4.3 billion euros. It’s the La Comisión Nacional de los Mercados y la Competencia (CNMC) that published these statistics. This is a new authority in charge of both competition and regulatory matters in Spain. The sector that had the highest revenue was that of travel agents and tour operators, with 13.2% of the total ecommerce turnover. Air transport accounted for 7.7% of the Spanish ecommerce turnover, while clothing represents 5.7%. CNMC also measured the number of transactions and it concluded that there were about 68 million transactions that took place in the fourth quarter of last year, which is an increase of 24% compared to the same period one year earlier. Altogether, there were 241 million transactions in 2014. CNMC also looked at how the ecommerce revenue in Spain was divided geographically. It seems that in the fourth quarter of last year 56.4% of total online sales happened at websites that are located in Spain, while the remaining 43.7% was for purchases that originated in Spain but were made at ecommerce websites abroad. In terms of transactions, data shows that 44.1% of all online purchases were recorded at Spanish websites, while 55.9% happened at foreign ecommerce sites. Of all online transactions that originated in Spain and went to foreign online stores, 90.6% happened at websites in the European Union, while 3.9% took place at American online retailers. Meanwhile, almost three in four (73.7%) foreign online purchases at Spanish ecommerce sites happened from within the European Union.